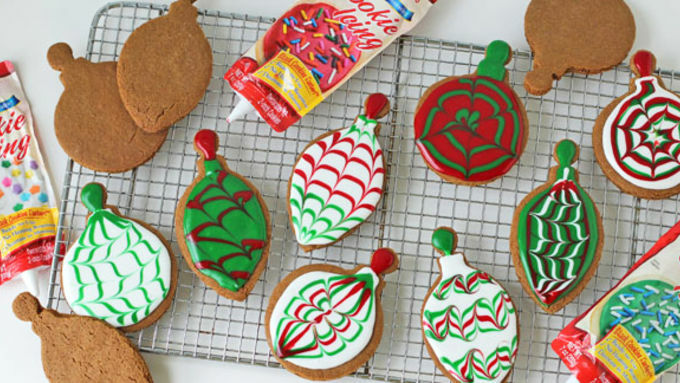 Follow instructions on the gingerbread cookie mix to make dough. Dust a cutting board with flour. 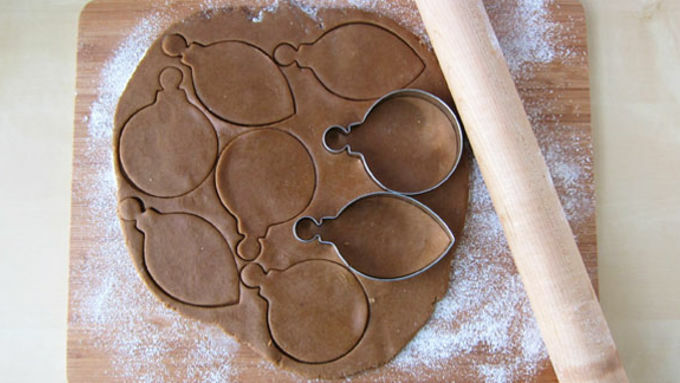 Roll out dough and cut using ornament shaped cookie cutters. Re-roll as needed. Set cookies on a parchment lined baking sheet about 2 inches apart. Bake cookies for 8-12 minutes until set around the edges. Optional step: During baking, the cookies will spread. 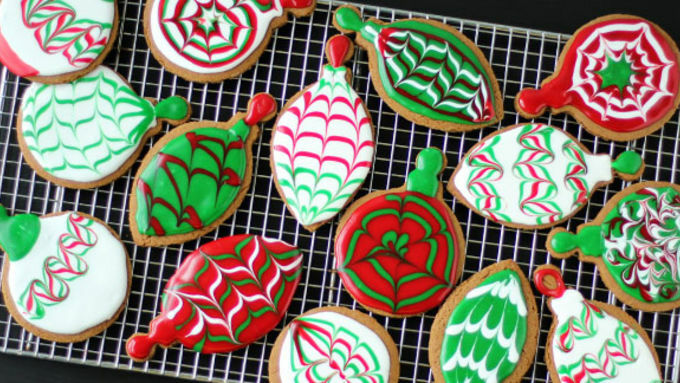 If you want perfectly shaped ornaments, remove the hot cookies from oven and immediately re-cut them using your cookie cutters. Be careful, as the metal cutter will get hot. 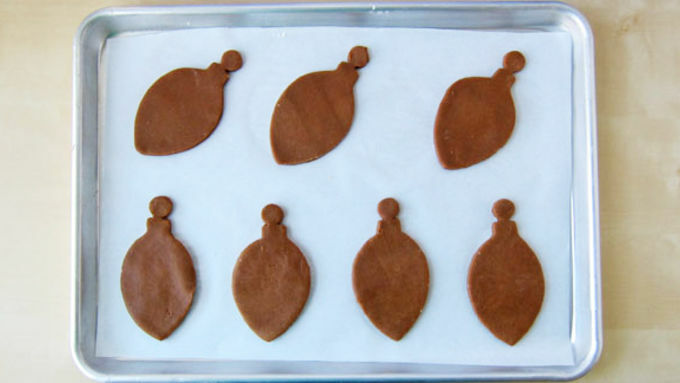 Using the decorating icing, pipe an outline around the edge of one ornament cookie. 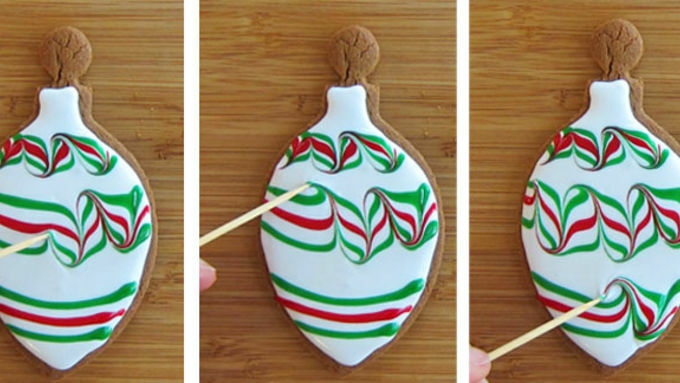 Fill the center of the cookie with more icing. Shake the cookie so that the icing fills in completely. Immediately, pipe on lines of colored icing, then use a toothpick or skewer to swirl the colors. Allow cookies to dry completely. Baking Christmas cookies has always been my favorite holiday activity. I remember the year I turned 10 and was finally allowed to use the kitchen all by myself. I spent days, baking, decorating, and packaging cookies to give to friends and family. I love seeing the joy that a box of cookies brings to people at the holidays, so I continue this tradition today! 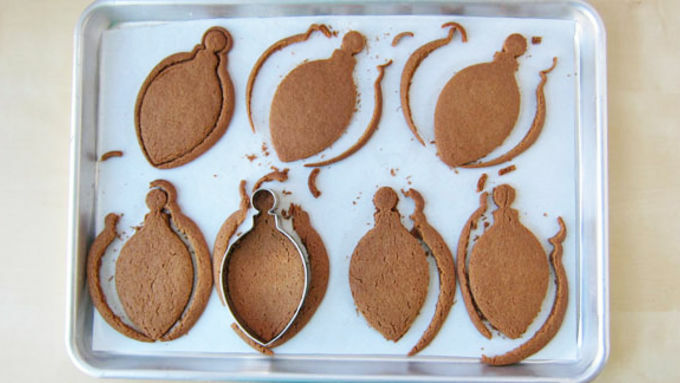 This year I'll be adding these lovely gingerbread Christmas ornament cookies to my packages. The designs were inspired by Marian of Sweetopia.net. 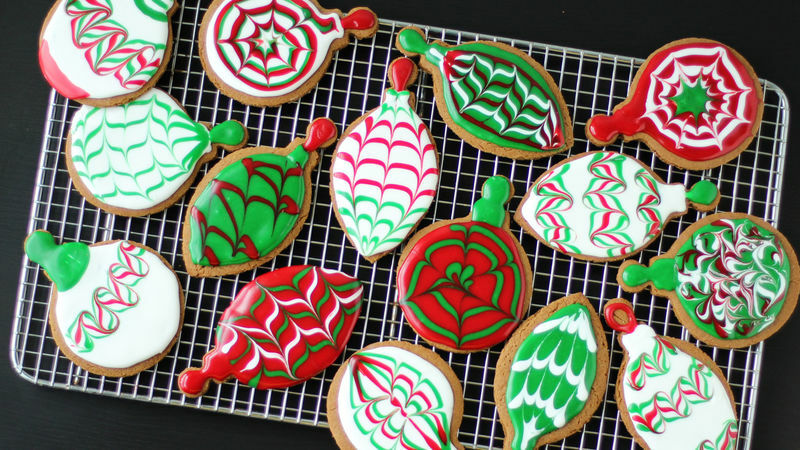 Each cookie looks unique and they don't take too much time to make, which is a perfect combination this time of year. I used Betty Crocker™ Gingerbread Cookie Mix and Betty Crocker Cookie Icing to make creating these cookies a snap. Each crisp cookie bursts with the flavors of the holiday – I just know everyone on my gift list will enjoy them! To store, place a single layer of cookies in an airtight container or zip top bag. Set a piece of parchment paper on top, and then add more cookies and more parchment. They will keep for several weeks at room temperature. But they probably won't have to!